Since the recipe uses a home-grown sourdough starter it is a little more time consuming and requires some accuracy. The recipe I share with you takes you step-by-step through all the stages. In a large bowl mix all ingredients, cover with plastic wrap and a towel, and leave in a warm, draft-free place. Place the seeds in a small bowl and cover with water. 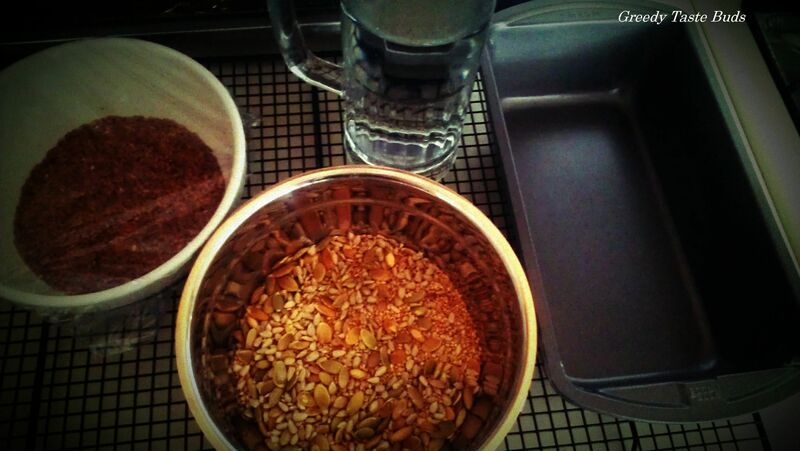 The mixture has to sit in a room temperature overnight, until a gel like substance forms and coats the flax seeds. 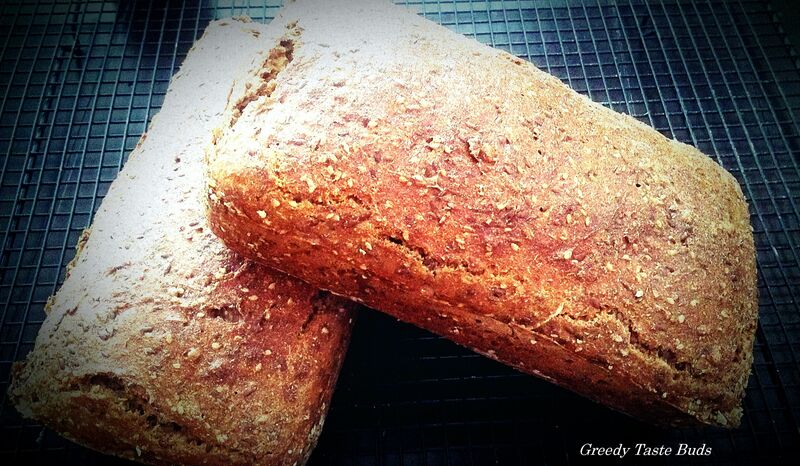 It will keep the bread moist after baking. Combine all ingredients in a bowl of food mixer on medium speed until completely smooth. Cover with a towel and leave to rest in a warm place from 12:50-14:20 PM. Allow to cool in a separate bowl. Measure out your flours and sift. Mix balsamic with lukewarm water (I use boiled water, never water from the tap). Using the mixer (dough attachment) combine sponge starter dough and flax seeds, gradually add flour and water with balsamic. At the end, add the roasted seeds. 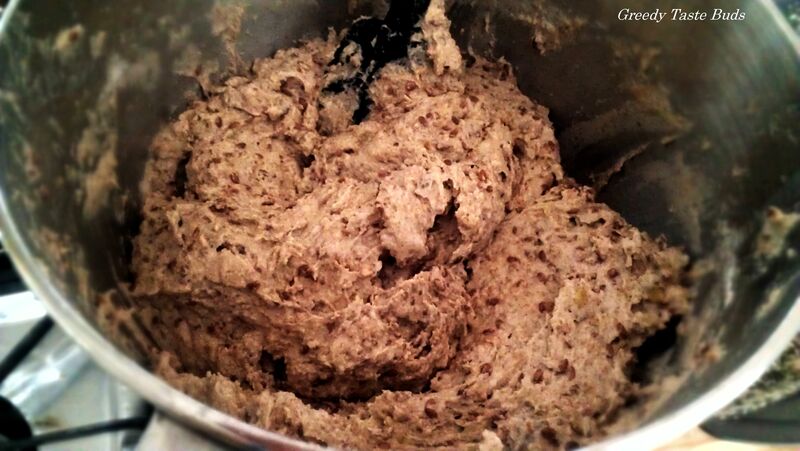 2:30PM – 2:40 PM: while the dough is resting prepare your tins (coat with oil ot butter and sprinkle with ground oats or flax seeds). 2:40 PM: divide the dough between two 9in x 5in tins, cover with plastic wrap and leave to rest and increase in volume (in a warm place) for about 3 hours. 5:40 PM: coat the top of bread dough with water or milk, it will add shine. Place in an oven preheated to 200°C (430°F). After 15 minutes lower the temperature to 200°C (390°F) and bake for another 30 minutes. Allow to cool for 1 hour before slicing. …with a little bit of butter and honey. Heavenly. Repeat these actions for 5 days after which the natural yeast should be well developed. It is not recommended to use sourdough younger than 5 days. 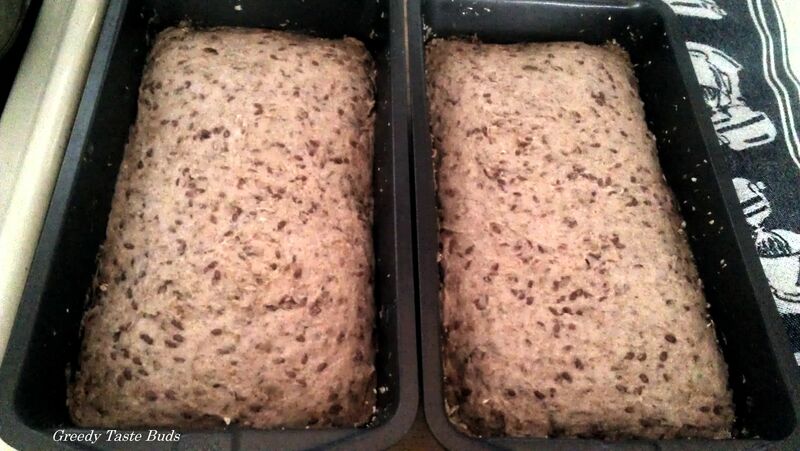 You can store it in the fridge for up to 2 months, feeding it once a week to keep the yeast active.